On July 31, 2017, the 336 passengers on board Air Transat flight TS157 were confined to the aircraft for hours without fresh air or air conditioning, adequate water, or food. They were provided some relief only after a passenger called 9-1-1. The Montreal-bound flight was diverted to Ottawa, and kept on the tarmac without offering passengers the option to disembark. Passengers on board Air Transat flight TS507 had a similar fate. The Ottawa Airport confirmed that Air Transat ignored numerous offers by airport staff to provide assistance to the stranded passengers and “the air crew was non-communicative.” Air Transat, on its part, blames the airport both for the extraordinary delay and for leaving passengers without water and food. After days of intensive media coverage and public outcry, the Canadian Transportation Agency [Agency], which is supposed to regulate airlines and enforce the law, launched an inquiry into the incidents. 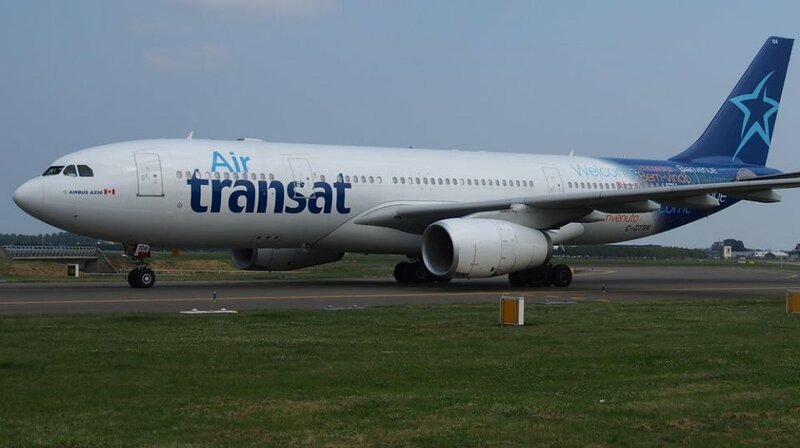 After receiving Air Transat’s response, the Agency appointed an inquiry officer to gather evidence from witnesses, and convened a public hearing to deal with the evidence. There are good reasons to question the true purpose of the inquiry, and to wonder whether it is a mere publicity stunt by the Agency to flex some muscle and pretend that it is impartial. Or perhaps the goal is to quell public outrage without Air Transat facing substantial financial consequences for its actions. Providing passengers on board a delayed aircraft with food, snacks, and the option to disembark is not only a matter of common sense, but also a legal obligation. Rule 5.2(d) of Air Transat’s terms and conditions (International Tariff) requires the airline to do so. Failing to comply with an obligation set out in the International Tariff is punishable by a fine of up to $10,000 under the Canadian Transportation Agency Designated Provisions Regulations, because such conduct is a contravention of s. 110(4) of the Air Transportation Regulations. Since there were 336 passengers on board Flight TS157 who were denied their basic rights, the Agency could fine Air Transat 336 times $10,000, which is $3.36 million. The Agency does not have the power to fine airlines for the kind of issues that you have identified. In reality, it is the willingness to fine airlines that is lacking, not the legal authority. Indeed, s. 180(a) of the Canada Transportation Act does confer on the Agency’s enforcement officer the power to impose monetary penalties for violations that are set out in the Canadian Transportation Agency Designated Provisions Regulations. Although the Agency claims to have “resolved” the vast majority of the complaints that it has received, court documents show that Agency staff turn away or discourage passengers from pursuing their rights, or simply tell complainants that their file has been “closed,” without any due process or adjudication. In at least one case, the complainant has accused the Agency of fabricating documents to cover up this practice. The Agency’s Statistics paint a similar picture. 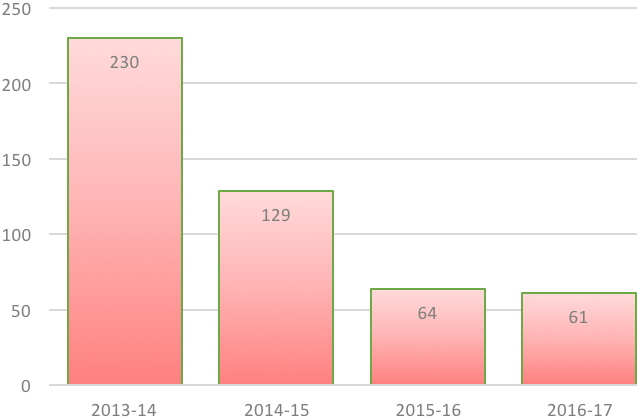 Since 2013, complaints have gone up four-fold, while enforcement actions have seen a four-fold decrease. 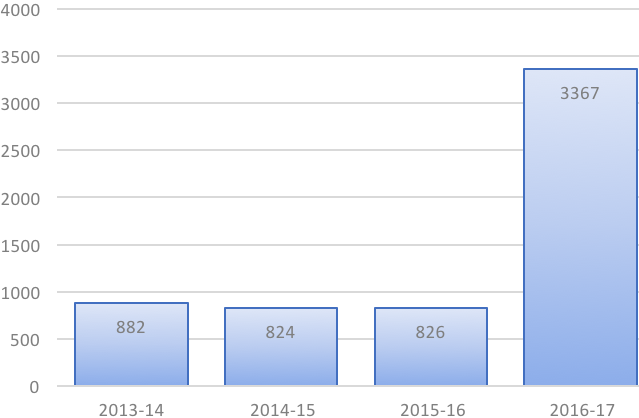 In light of the upcoming study and debate of the air passenger bill of rights (Bill C-49), which puts the dysfunctional Agency in charge of creating and enforcing purportedly new rights of passengers, the Agency may well seek to present the inquiry as a sign of willingness to fulfill its mandate. However, once the cameras are no longer rolling, it will likely be business as usual once again. Mr. Sam Barone, the Vice-Chair, was a lobbyist for airlines until his appointment to the Agency. Mr. Barone’s past jobs include President and CEO of the Canadian Business Aviation Association (2008-2013), and President and CEO of the Air Transportation Association of Canada (2006-2008). Mr. Scott Streiner, the Chair, has been publicly commenting on the inquiry, contrary to the principle that judges and administrative decision-makers should speak through their decisions, and not through the media. These members would do a great service to the public and to the appearance of justice if they recused themselves from the Panel at the beginning of the hearing.